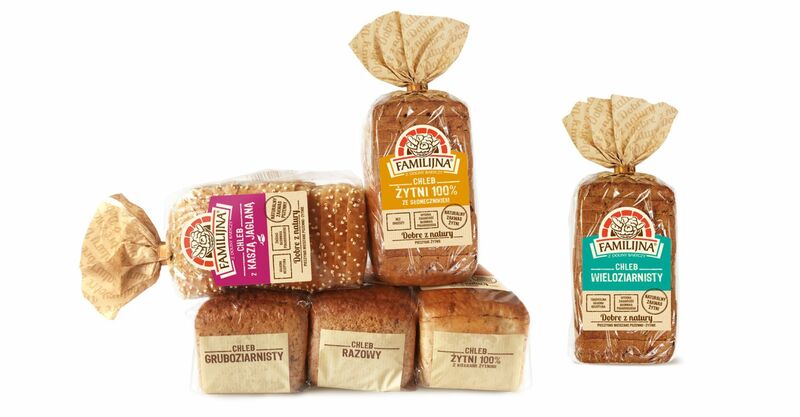 Our task was to re-design entirely the packagings for the bread line on the basis of natural rye sourdough. Rebranding has been preceded by audit, which determined the position of the brand, and by devising an image-oriented strategy, based on our creative concept. 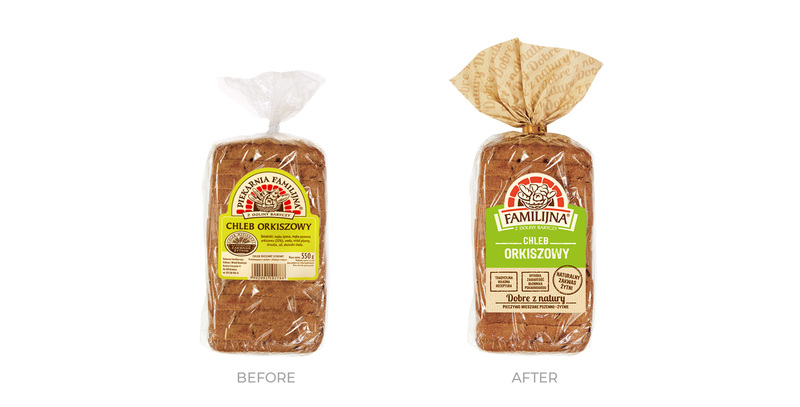 New packagings emphasise the strong side of the product – naturality. 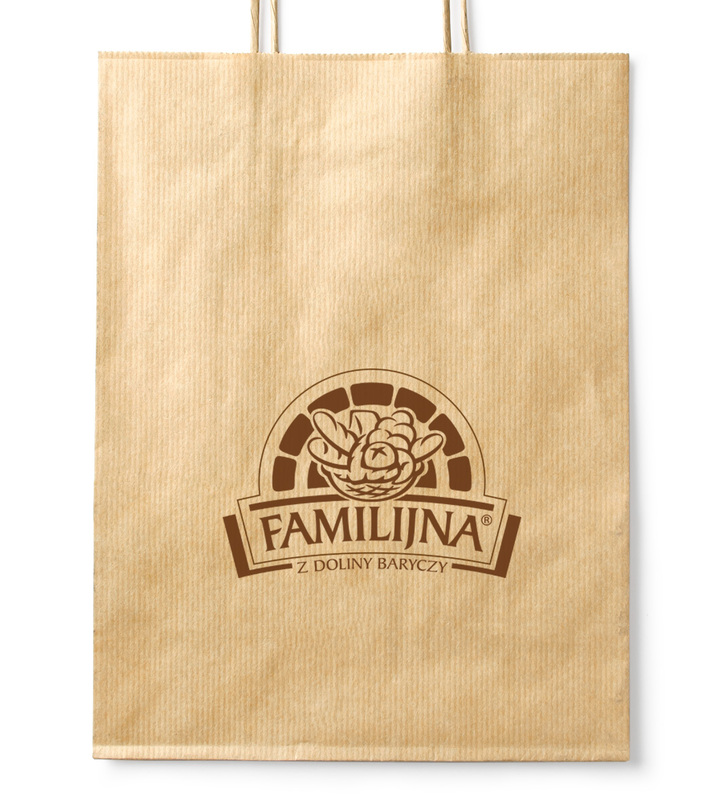 The layout of the label has gained in terms of transparency, and well adapted typography relates to the traditional, craftsmanship nature of the product. The scope of works has also covered the logotype refreshing, which due to simplified name and graphics has become more readable and at the same time preserved its own nature. 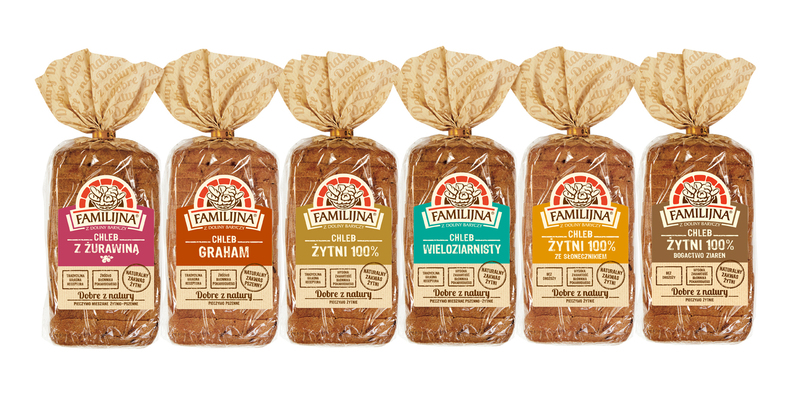 The emphasised slogan “Good by nature”, toned colour of the label and discrete icons with no graphical symbols clearly communicate the natural qualities of bread from the Familijna bakery.